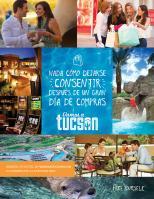 Studios, two-room executive/family suites and two-room Presidential Jacuzzi suites! Near Tucson Mall, University of Arizona and Tucson Medical Center. FREE: full hot breakfast buffet, evening social hour, Wi-Fi/hi-speed Internet, free long distance calls worldwide for up to 20 minutes, fitness center, business center and much more! In addition, all studios & suites include: Cloud 9 Pillow top beds with triple sheeting, flat screen TV’s, refrigerator, microwave, coffee/tea maker, two-line speaker phones & voice mail, large work desk, cable television, hairdryer, alarm clock radio, and iron/board. PJ’s Café is available for breakfast, lunch and dinner. Two lighted tennis courts/basketball, heated pool, hot tub, BBQ grills, guest laundry. DescriptionOur meeting room has flexible space for a variety of events the room can be used as one room or breakdown to two sections, we also provide our clients with flexible catering options. Inquire with our sales department for rates and availability. Space NotesWe can book the tennis courts (outdoors) for events as well it is 16,000 square feet of space perfect for shows, large receptions, community service events, etc. Special information (entertainment, services etc.) Must provide own catering company or bring in own food.